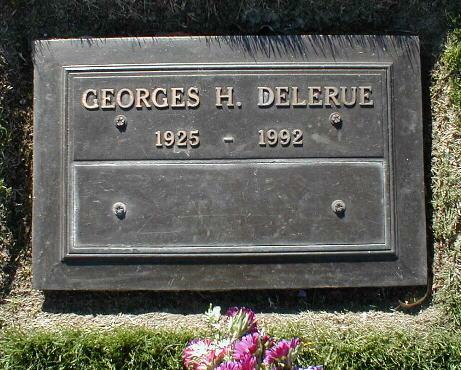 Georges Delerue was born 12 March 1925 in Roubaix, France to Georges Delerue and Marie Lhoest. He was raised in a musical household; his grandfather led an amateur chorale group and his mother sang and played piano at family gatherings. By the age of fourteen he was playing clarinet at the local music conservatory. In 1940 he was forced to abandon his studies at the Turgot Institute in order to work at a factory to help support his family. He continued playing clarinet with local bands, eventually transitioning to piano under the instruction of Madame Picavet-Bacquart. He studied Bach, Mozart, Beethoven, Chopin, and Grieg, and was particularly inspired by Richard Strauss. Following a long convalescence after being diagnosed with scoliosis, Georges decided to become a composer. In 1945, following his studies at the Roubaix conservatory, Delerue was accepted into the Conservatoire de Paris, where he studied fugue with Simone Plé-Caussade and composition with Henri Büsser. To help support himself, he took jobs playing at dances, baptisms, marriages, and funerals—even performing jazz in the piano bars near the Paris Opera. In 1947 he received an honorable mention for the Rome Prize, and the following year he won the Second Grand Rome Prize. That year at the Theater Festival of Avignon, Delerue conducted a performance of Scheherazade. In the 1949 Rome Prize competition, he won the First Second Grand Prize, and the First Prize for Composition. He began writing stage music during the late 1940s, including for the Théâtre National Populaire, Comédie-Française and the company of Jean-Louis Barrault. He also became friends with Maurice Jarre and Pierre Boulez. By the early 1950s Georges Delerue was composing music for short films and writing theatrical music for the Théâtre Babylone and the Opéra Comique. He began collaborating with Boris Vian on a number of projects during this time, including theatrical adaptations of The Snow Knight and The Builders of Empire, an oratorio A Regrettable Incident, and a ballet The Barker. In 1952 he began directing the orchestra of the Club d’Essai for French National Radio and Television, and scored his first television drama Princes du sang. In 1954 he wrote his first compositions for historical spectacles of light and sound, Lisieux and The Liberation of Paris. In 1955 he composed his Concert Symphony for Piano and Orchestra, and on 31 January 1957 his opera The Snow Knight premiered at Nancy and was a popular success. In 1959 he composed his first score for a feature film, Le bel âge. His career was diverse and he composed frequently for major art house directors, most often François Truffaut (including Jules and Jim), but also for Jean-Luc Godard’s film Contempt (Le Mépris), and for Alain Resnais, Louis Malle, and Bernardo Bertolucci, besides working on several Hollywood productions, including Oliver Stone’s Platoon and Salvador. He composed the music for Flemming Flindt’s ballet, Enetime (The Lesson), based on Ionesco’s play, La Leçon. During his 42 years career he put his talent to the service of nearly 200 feature movies, 125 short ones, 70 TV films and 35 TV serials. The soundtrack for war docudrama by Pierre Schoendoerffer, Diên Biên Phu (1992), was one of the late notable works. Georges Delerue composed the music for five of the films made by the noted British director Jack Clayton. Their first collaboration was The Pumpkin Eater (1964), followed by Our Mother’s House (1967). In 1982 they reunited for the Disney film version of Ray Bradbury’s Something Wicked This Way Comes, but the production was fraught with problems. Unhappy with the sinister tone of Clayton’s original cut, the studio took control of the film, and held it back from release for over a year, reportedly spending an additional $5 million on re-editing the film, cutting some scenes and replacing them with newly-shot footage, with the aim of making the film more commercial and ‘family-friendly’. To Delerue’s great disappointment, Disney also insisted on the removal of his original music (which was considered ‘too dark’), and they replaced it with a new, ‘lighter’ score by American composer James Horner. Speaking later about the rejection of his score, Delerue said: “It was extremely painful … because it was probably the most ambitious score I wrote in the United-States.” Delerue’s music for the film was only available to collectors in low-quality bootleg copies until 2011, when Disney authorised the release of approximately 30 minutes of music, sourced from Delerue’s personal tape copy of the score (which originally ran for over an hour). This was issued by Universal France (along with Delerue’s music for the 1991 film Regarding Henry) in a limited edition of 3000 CDs, as the inaugural release of its “Ecoutez le Cinema!” soundtrack series. Despite this disappointment, Delerue worked with Clayton twice more, on his last feature film, The Lonely Passion of Judith Hearne (1987), and Clayton’s final screen project, a feature length BBC TV adaptation of Muriel Spark’s Memento Mori (1992), which aired just a month after Delerue’s death. 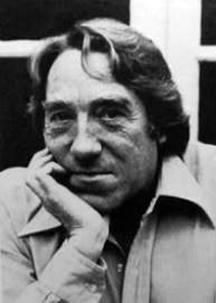 Georges Delerue made cameo appearances in La nuit americaine and Les deux anglaises et le continent. According to many testimonies he would do and redo some cues to fit the new editing of a sequence without any protestation. He insisted on being allowed to orchestrate and conduct himself in order to polish every detail. 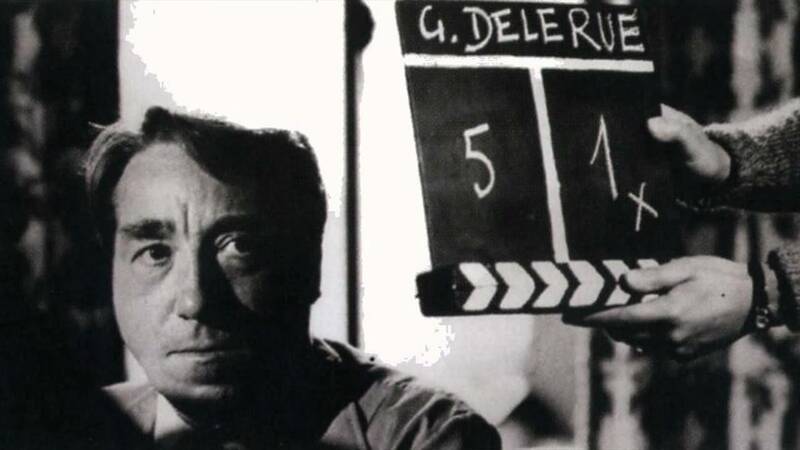 Georges Delerue had a great talent for melody and for creating surrounding overtones which encapsulated the spirit of the movies on which he collaborated, enhancing them often beyond the expectations of their directors. Georges Delerue died on 20 March 1992 from a heart attack in Los Angeles at the age of 67, just after recording the last cue for the soundtrack to Rich in Love. 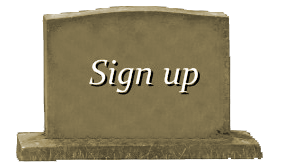 He is buried in Forest Lawn Memorial Park Cemetery in Glendale, California. 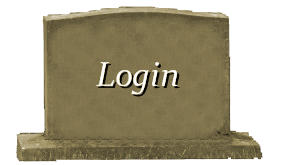 He left behind his wife, Micheline Gautron, whom he married in 1959, and his daughter Claire.